The final BO status of three of the expected movies, Jawaan, Oxygen & PSV Garuda Vega are out, but indeed way too early than predicted. The movies which were considered to have a decent to considerable run at the box office have eventually fizzled out at the box office. 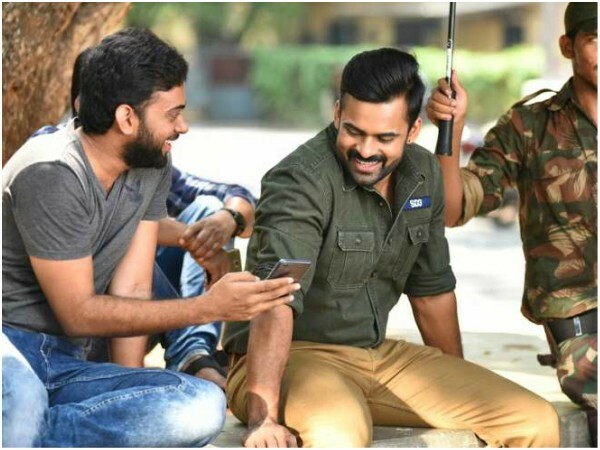 Sai Dharam Tej, had pinned all his hopes on Jawaan, as he is experiencing a lull at the BO since his previous encounters have failed to render the expected results. The Mega lad, was a winning horse at the beginning of his career, but now seems to be jolting to touch the finishing line. Trade and critics claim that it is Sai Dharam’s affinity towards commercial routine subjects which are pulling him down from tasting success. Jawaan, which was released on 1st of December, had a very brief run in theatres and now has packed its bags completely. Nizam- 5.5 Cr, Ceeded- 3 Cr, Vizag- 1.75 Cr, East- 1.3 Cr, West- 1.05 Cr, Krishna- 1.2 Cr, Guntur- 1.5 Cr, Nellore- 0.7 Cr, Rest & Overseas- 2Cr taking the overall tally to 18 Cr. Nizam- 3.5 Cr, Ceeded- 1.5 Cr, Vizag- 1.6 Cr, East- 0.74 Cr, West- 0.45 Cr, Krishna- 0.62 Cr, Guntur- 0.82 Cr, Nellore- 0.32 Cr, Rest & Overseas- 1.1 Cr and thus marginally crossing over a humbled figure of 10.31 Cr. The recovery is way too below the expected line and has indeed incurred some denting loss to the distributors and exhibitors. Jawaan, is classified as a box office disaster. Gopichand’s Oxygen, was seen to be giving some fresh respiration to the talented actor as his previous flick, Gautham Nanda, had tanked miserably. Though the trailer cut was impressive and the average word of mouth before the release of the movie was quite adequate, Oxygen, failed to sustain the same momentum post its release, as the content and execution had shifted the drive to the reverse gear. 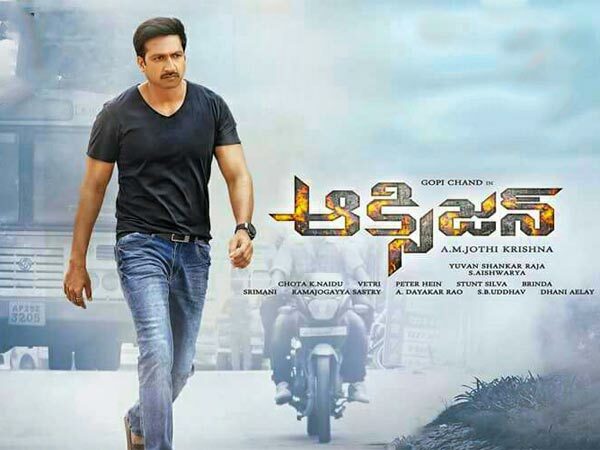 Gopichand will have to wait till the release of Aaradugula Bullet, his next movie, to taste the success. With the overall recovery status standing at a tally of just over 40%, Oxygen is termed as a big disaster at the box office. All was not well for the veteran actor, Dr. Rajashekar. There were double blows for him in his personal life with the former losing his mother and brother-in-law in a short span of time difference while his professional life was treating him with a low-key respect. PSV Garuda Vega, was expected to bring back his lost glory and delight. PSV Garuda Vega, is a technically rich movie with a solid content. Be it the execution or the making, the entire team earned a pat on the back for their hard work and grit. Though PSV Garuda Vega, earned unanimous positive response from both the public and the critics, the final Box office numbers dint pamper the team much as it ended up as an average outing. PSV Garuda Vega, was sold at a nominal price of 11 Cr to the distributors while it earned a mediocre worldwide share of just a little less than 8 Cr.